Absolutely elegant home with mountain views. 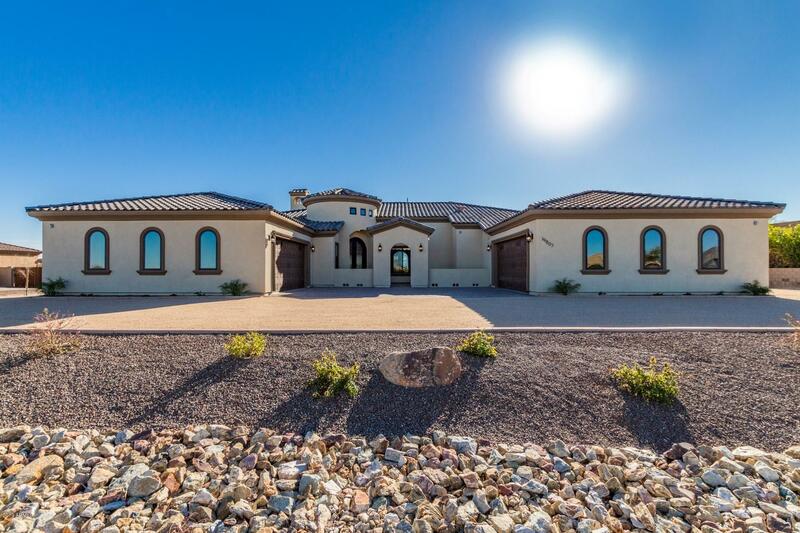 This home is nestled on a large lot and boasts a detached RV garage, gym and guest house. Every upgrade imaginable including wood plank tile and neutral palette. Panoramic wall opens to the outdoors. A fireplace for those cool nights. Chef kitchen is perfection with large granite island, stark white cabinetry and subway tile. Stainless steel appliances are always a plus! A large walk-in hidden pantry complete with a desk adds the finishing touch to this kitchen. Laundry room is comprised of sink, cabinets counter space and enough room for an extra refrigerator. The spacious master is exquisite with double vanities, walk-in shower and huge walk-in closet. Enjoy the views under the covered patio! Beauty and elegance abound! See it today!